Payaso® Orejitas® are made with the finest ingredients. Just the right amount of sugar, to keep it lightly sweet, crispy and absorbent. Great with tea, coffee, or as a simple snack. 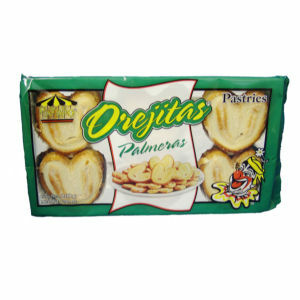 Our pastries are carefully made in the shape of "orejitas" (ears) and are easy to handle with your fingers. Enjoy!